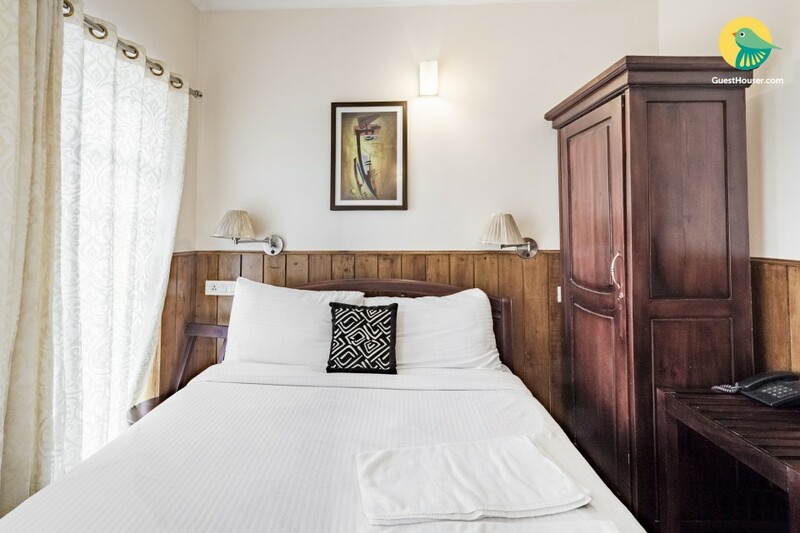 Located in Pudumund, this boutique stay is ideal for a couple looking to enjoy a relaxing holiday in the serene environment of Ooty. The property is situated just 270 m away from the Botanical Garden, and the private room on offer can accommodate two people. Ample parking space is available for those on a road trip. Your Space This flat-roofed stay has elegant steps leading up to the entrance. 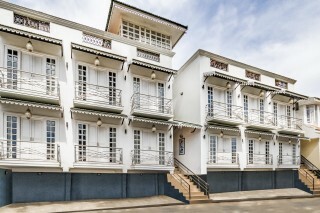 The off-white exteriors lend a rather vibrant charm to this property. 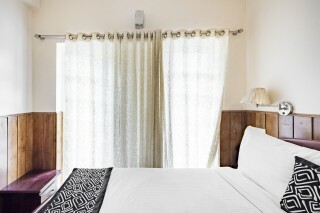 The room on offer has wood-panelled exteriors, which give it a rustic vibe. 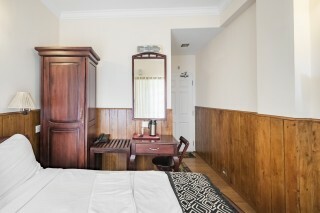 There is a plush double bed, a side table, a dresser, and a long mirror. 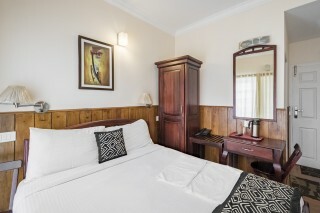 There are a couple of chairs for you to relax and enjoy the scenic view from the room. A spacious wardrobe is placed so you can store all your belongings without any hassle. 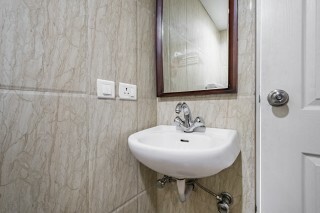 The en suite washroom is tiled and well-appointed with western sanitary ware and modern fixtures. The guests are requested to provide valid identification at the time of check-in. Travel assistance is available. Car rental is available. Places to visit- Ooty Lake - 3.1 km. Doddabetta - 6.4 km. Government Rose Garden - 2.2 km. Avalanche Lake - 25.9 km. Nilgiri Mountain Railway - 20.7 km. Emerald Lake - 22.7 km. Government Botanical Gardens - 500 M. Stone House - 1 km. Kamaraj Sagar Dam - 11.2 km. Ooty Railway Station - 3.5 Km. Coimbatore International Airport - 94.7 km. Charing Cross Bus Stop - 800 M. Ooty Bus Station - 2.7 Km.